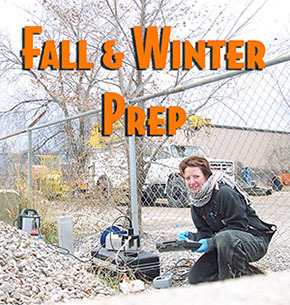 As Daylight Savings Time ends, there is no time to lose in getting your field work done. 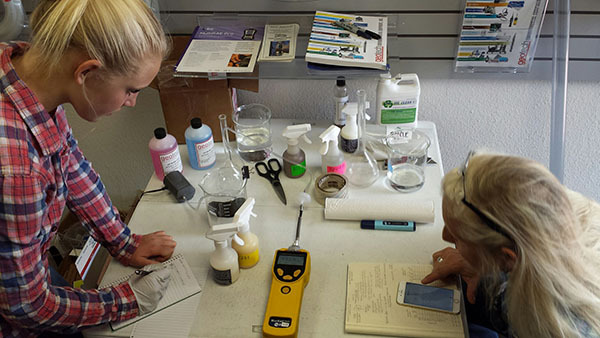 Fourth quarter monitoring and sampling can turn out to be some of the most challenging sampling events of the year. With shorter periods of daylight, there is also a potential for cooling and freezing temperatures as the seasons change and the end of the year draws near. It is very challenging to take water level measurements using the headlights of your truck to see the water level meter tape while it’s snowing or raining. Here are some helpful tips we’ve learned over the years from working through some of our seasonal troubleshooting calls. Some equipment is susceptible to damage when the temperatures approach freezing. 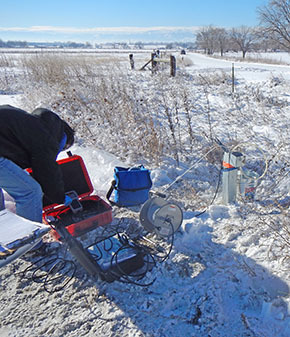 Water quality instruments, pumps and instruments that include pH probes, turbidity standards, reference solutions and water as a storage medium can be irreparably damaged from freezing. This damage can occur if this equipment is riding in the back of a truck during transit, or if stored in your locked vehicle overnight. Damaged equipment, whether owned by your company or on rent, could result in lost billable time and productivity in addition to repair or replacement costs because of freeze damage. Always store equipment indoors when possible. Securing a ground floor room at your favorite hotel can make a world of difference in mobilizing in the morning. 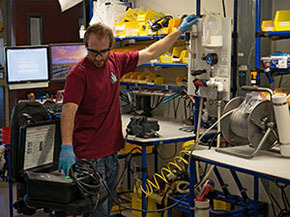 As holidays approach, consider taking advantage of scheduled down-time and send your equipment to Geotech for service, calibration or repair. 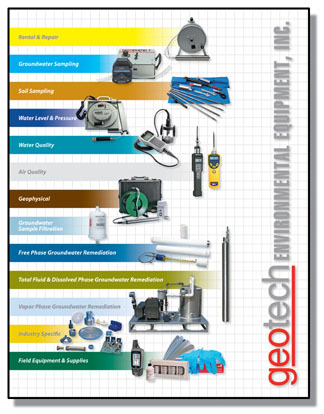 Geotech services and repairs all of the equipment we sell. 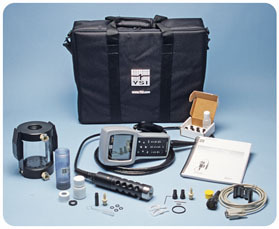 Geotech is also a warranty service center for YSI water quality equipment. Take advantage of the time between projects or sampling events and have your equipment fully functional, tested and ready to go! Turnaround times for most service is about a week after the equipment is received, or you can schedule in advance to have the service or repair performed even faster. Our technicians are the best in the industry and our goal is to maintain your equipment to be the most reliable! We document and track everything we service so you can have the confidence the work was performed right. We include calibration certificates with the instruments we service so you have a record of equipment performance. Whether it’s a readiness check, warranty service or factory cleaning and calibration service, contact your Geotech Account Manager for information on scheduling service today! Geotech offers many ways to lower the cost of buying equipment. We offer a generous “Try-Before-You-Buy” program. If you are interested in purchasing a new instrument or technology, many of the items we offer in our rental fleet qualify for this program, where up to half of the rental rate is applied toward up to half of the purchase price of the same equipment. 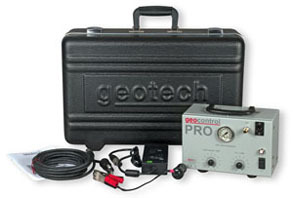 Geotech also offers many pieces of equipment at “Pre-Owned” prices. As a manufacturer, we maintain the equipment we make and sell at the highest level possible in our rental fleet. Sometimes we offer this used rental equipment for sale. Please check with your Geotech Account Manager for available equipment. Receive 10% Off YSI Professional Plus instruments and accessories until the end of the year! 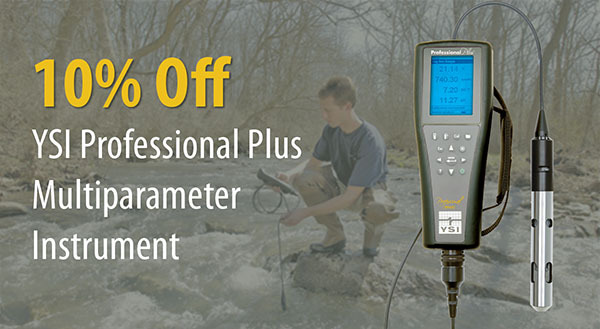 The YSI Professional Plus handheld water quality meter will be your go-to meter for your field applications. These meters are the toughest, smartest and most versatile handheld meters on the market. The rugged design and field-worthiness of the Professional Plus instrument allows you to perform your job with confidence even in the harshest field conditions and with the lowest overall cost of ownership. Interchangeable probes and cables reduce down-time and keeps the Pro Plus ready whenever and wherever you are – field or lab. The YSI Professional Plus accommodates any combination of Pro Series probe, cable, and accessory. This compact handheld includes multiple languages, detailed GLP data, on-screen Help functionality, auto-buffer recognition, milspec connectors, re-cal prompts, auto-stable and security passwords to help make your job easier. Geotech provides quality service for your YSI equipment with factory certified technicians for maintenance, calibration and repair. Geotech also provides rentals of this fine instrument line. 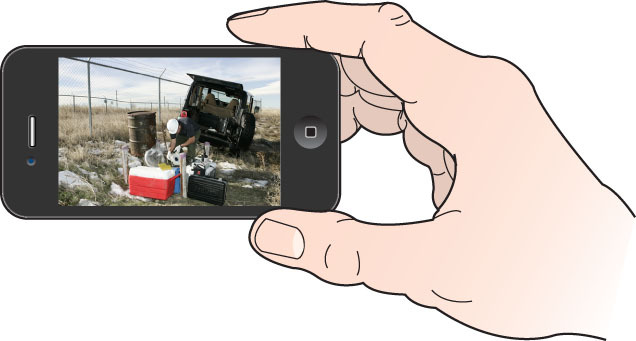 Geotech is an YSI Environmental warranty center for YSI field instruments including the 600 and EXO series. Jeff Lynch, Environmental Water Technician for Cortina Indian Rancheria, conducting a U.S. EPA minimum draw-down groundwater sampling procedure on a monitoring well on the Rancheria. 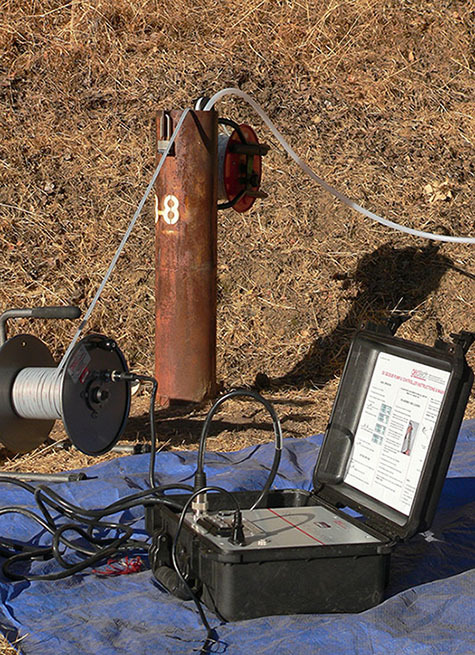 A Geotech SS Geosub pump and pump controller and a Geotech Geo Reel with FEP-lined polyethylene tubing is being used. Join us at the Wildlife Experience at the University of Colorado - South Campus for a two-day unmanned vehicle event with keynote and guest speakers from military, government, industry and education. We will have a booth set up to display our latest Leptron unmanned aerial vehicles and answer questions about how they can improve environmental work. 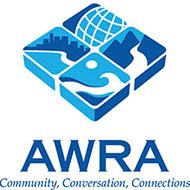 The mile-high city of Denver, Colorado will host this year's American Water Resources Association (AWRA) Annual Conference on Water Resources. Please join us for an engaging week of cutting edge presentations on timely water resources issues, and for dialogue with fellow water resource movers and shakers from across the country and throughout the world. 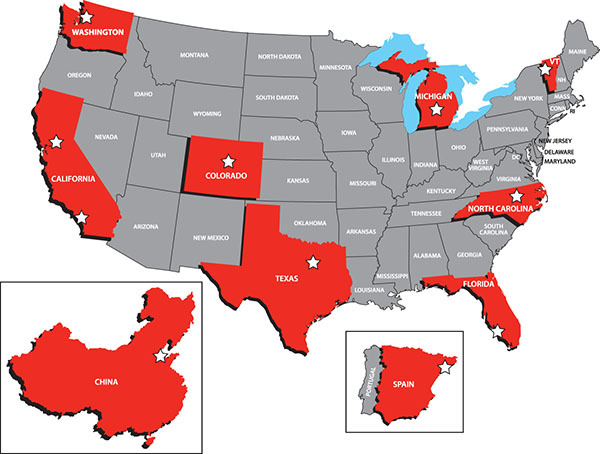 Presenters from all over the country and around the world will be sharing their research and experiences in over 85 oral technical sessions and poster sessions. Explore the water resource challenges that are faced by water resource professionals the world over. Join us in Denver for the 22nd International Petroleum Environmental Conference. IPEC addresses environmental issues, challenges and solutions for the petroleum industry. It provides professionals from industry and academia unique networking opportunities in seeking solutions to environmental problems of a technical, legal and regulatory nature. Please be our guest with this exclusive Exhibition Guest Pass from Geotech for subscribers only. Geotech will be at Booth 29. The 67th Annual NGWA Groundwater Expo and Annual Meeting is the premier annual event for groundwater professionals from all sectors of the industry to gather for education workshops, dynamic speakers, knowledge sharing, networking, and, of course, product and service shopping. Please stop by to visit us at Booth 1130. Prices and promotions mentioned in this newsletter are valid through November 30, 2015.